Around the holidays there is in an increase in DUI’s because of people partying and the rise in number of people drinking and driving. So it’s no surprise that there is a big increase in police patrolling the areas, and they are usually sitting right where they think that most drunk drivers are going to be. People need to be educated more on drunk driving awareness as well as defensive driving. Holidays are not the only time that there is an increase in DUI’s. Public gatherings such as concerts and ball games are another time when many people tend to drink excessively and perhaps have too much of a good time and find themselves in jail. If you watched the news this time last year (11/9/2012), you may have heard the headline about how Game Day Ends in DUI, this report was referring to the Green Bay Packers-Arizona Cardinals game at Lambeau Field. It was reported a large amount of police were waiting after the game to pull over suspected drunk drivers. They were actually able to arrest several drivers and this affects their driving record, as well as fines and time in jail. Of course, this is better than the alternative of being killed or killing someone else and going to jail for that. Common sense would have kept those guys out of jail, so be smart and stay safe! 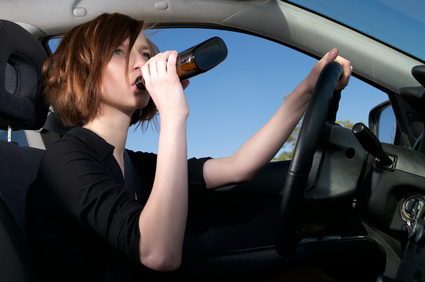 We’ve all been taught basic safety when we learned to drive, and how it’s not responsible to drive after having a drink. It causes loss of coordination, impaired judgment, distorted vision as well as slow reflexes. It is also reported that one out of three people will be involved in an alcohol related accident, so don’t let it be your fault! Stay alive, don’t drink and drive. Driving hammered will get you nailed. Sober driving today. Alive tomorrow.